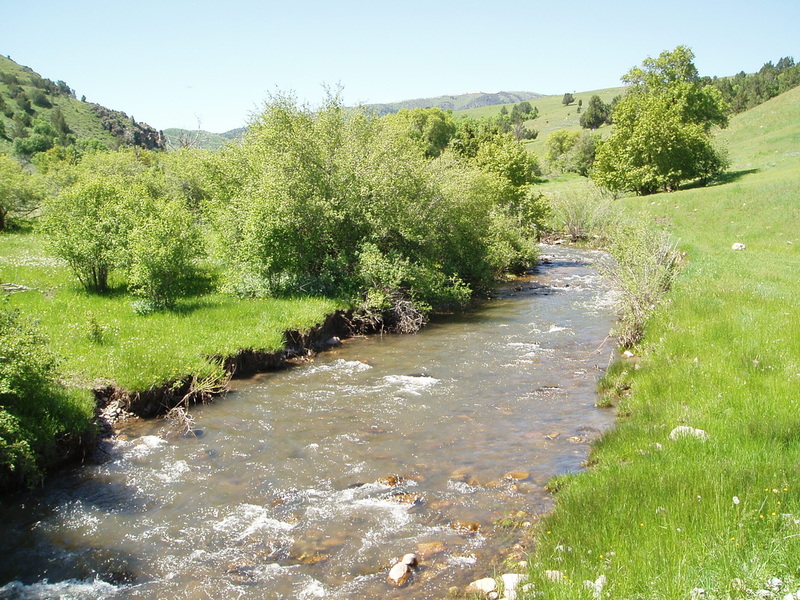 Bear River is the largest tributary to the Great Salt Lake, and is the largest stream in the west that does not empty into the ocean. It is approximately 491 miles long. It discharges 1.2 million acre feet of water per year into the Great Salt Lake. That is the equivalent of 198 billion basketballs! Bear River crosses the Utah border 5 times before draining into the Great Salt Lake. Bear lake is a large freshwater lake located on the Utah/Idaho border. It is 32 km long and 8-12 km wide with a max depth at 63 m and an average depth of 30 m.
It was formed approximately 100,000 years ago. It is used as a source of water storage and recreation.